The National Literacy Trust Hub on the North Yorkshire Coast is known locally as Our Stories. Part of the opportunity area programme, a range of partners work together to improve literacy levels and promote reading, writing and talking. We want to know what people in Whitby, Scarborough and Filey are reading! 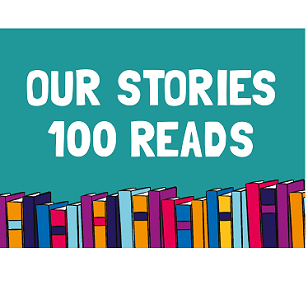 Children and families are invited to share their favourite children's books to be published in a list of the North Yorkshire Coast 100 Reads. We’re looking for volunteers across the North Yorkshire Coast to champion literacy in their local communities. Anyone can be a Literacy Champion - you could be a parent, business professional, teacher, student, sports coach or just passionate about making a difference in your local area. Tips and activities to help you support your child’s literacy skills at all ages. Contact us to find out how your school or setting can get involved. Use your business’ resources, reach and local knowledge to make a real impact.